Batman has always been known for all his wonderful gadgets (or toys), but his Batmobile still strikes a chord among fans as one of the coolest and most amazing vehicles that has ever surfaced. With that, it seems that many of those die-hard fans have also made it a personal mission to resurrect the Batmobile in different ways and designs that are extraordinary for fans and others. So here we gathered the best from all the Batman fans with an awesome collection of 16 Epic Batmobile Remakes that are perfect for Batman fans and also include some extras such as the newest Batpod. There are many different looks that include the different Batmobiles throughout the years. 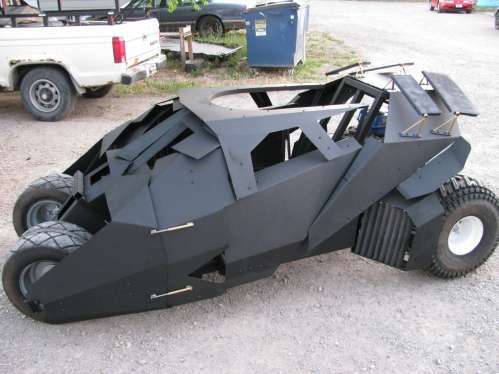 Go-Kart enthusiasts would get a huge kick out of this amazing Batmobile Kart that is created out of a Go-Kart shell. 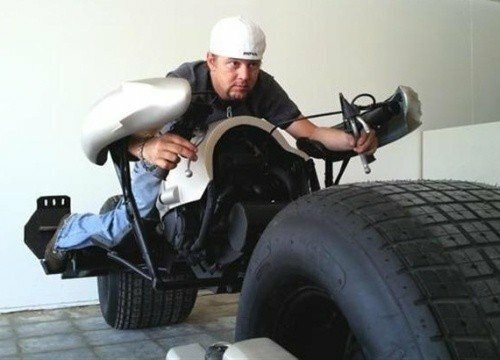 The actual batmobile is not for sale, but the creator does offer the plans for anyone willing to take on such a feat and build their own Go Kart Batmobile. 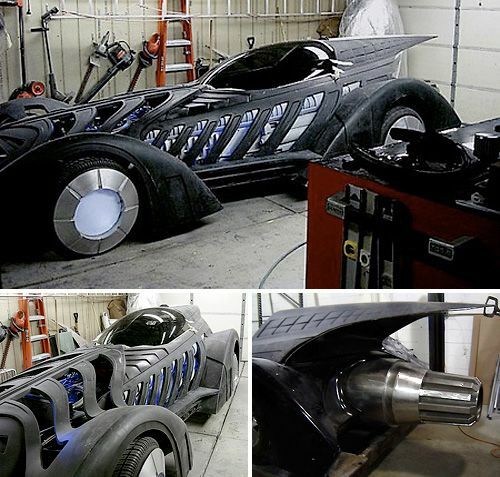 This has to be one of the most amazing Batmobile creations that has ever surfaced. 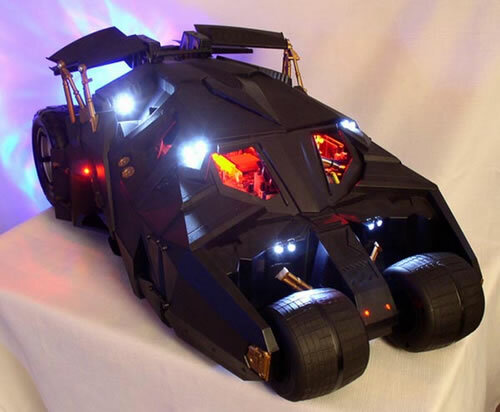 It is a homemade Batmobile Tumbler that is outstanding from the ground up and Bob Dullam really stuck to the look of the Batmobile from Batman Begins and the Dark Knight. Best part yet…it is up to scale and is completely functional. When Batman’s Batpod showed up on the big screen, every fan’s heart stopped in complete awe and excitement. So when we see a real one was modded and brought to life, it simply makes our Geeky life have meaning. With rising Gas prices, it is no wonder someone has thought that the Batmobile should respect the situation and find ways to cut back. It may not look like the Batmobile we have grown to love, but no one can deny that it is still just as cool. 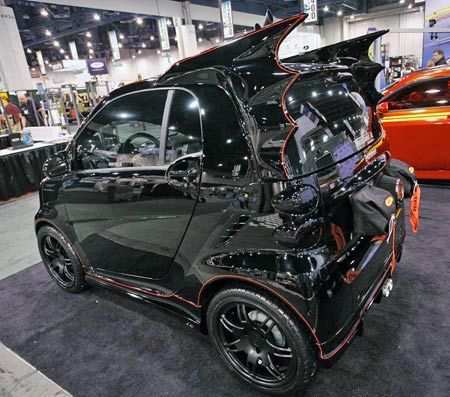 It is a miniature Batmobile Smart Car that has the looks, the shape and the Batman factor which will make fans interested, but it will also save money on Gas and have an easier time finding a parking spot. 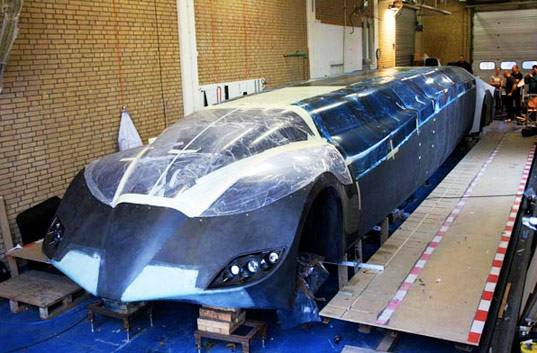 Created by a team of students at UT Delft, Netherlands, this Batmobile Superbus just takes the looks of the Batmobile and streteches it. This Superbus does not include any fancy Batman gadgets and such but sure beats riding the Big yellow bus to school. So you want to have your own Batmobile but really do not want the expense and other nonsense that would come with such a popular vehicle? 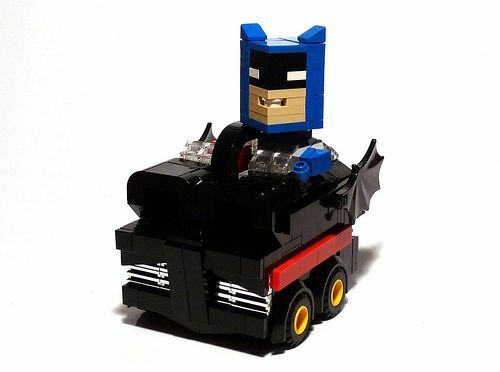 Well, your best bet would be to build your very own Lego Batmobile, which is much smaller but then again…it would be easier to carry, cheaper to make and is a great reminder of the Caped Crusader without the baggage. 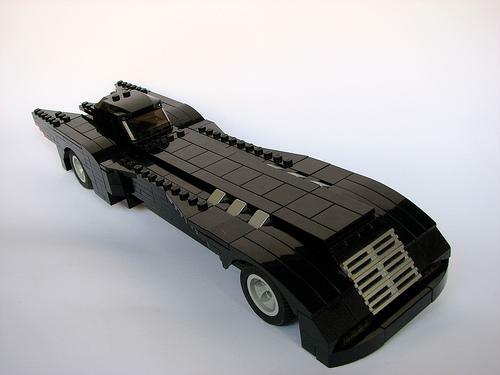 This is another great Lego Batmobile but in a completely different style. Here we have a Lego 1966 Batmobile BoxCar which is detailed, cute and even presents the awesome Caped Crusader. A beautiful remake! Throughout the Batman movies and shows, there have been various Batmobile versions, but this Batmobile Corvette is one of the best…taking after the 1989 Batmobile that was in the Michael Keaton days. It was created by Randy Hecht using custom Fiberglass/marglass and is also street legal. It does mention that many Corvette fans are just appalled by such mistreatment of the Corvette, but I am sure Geeks will disagree, for the Batmobile is an exquisite find. There have been numerous amounts of Computer Mods created, but this Batmobile Tumbler one is just extraordinary. Not only does it house an actual computer for your daily Web surfing, but it looks exactly like the cool Batmobile Tumbler Batman fans are crazy over. 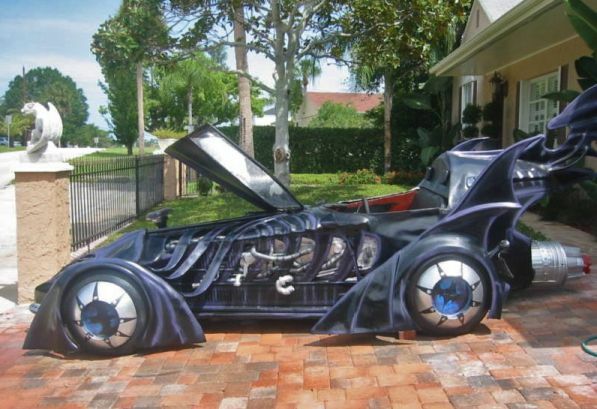 This specific Batmobile is the actual one from Batman Forever. 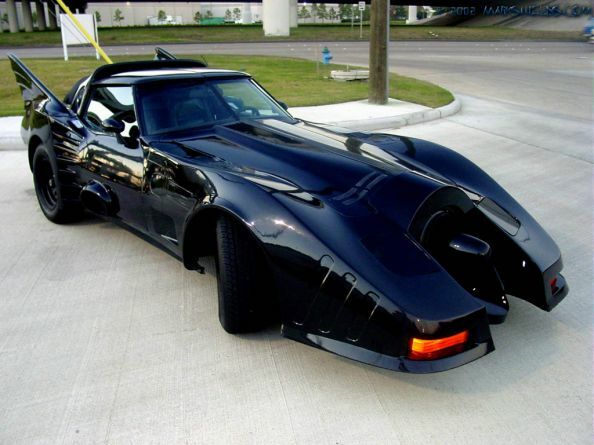 Unfortunately, similar to the let down of the movie, this Batmobile was auctioned off and comes with fine details that specify that it cannot be driven publically. This means that it could sit in your driveway and collect dust, just like this specific Batman movie probably does. 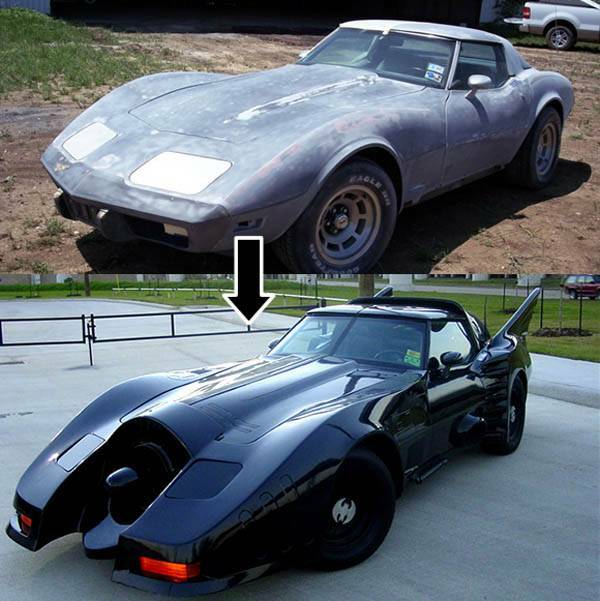 The second one is an actual homemade Batmobile replica from the same movie and although the finish is awesome, the movie is still a let down. 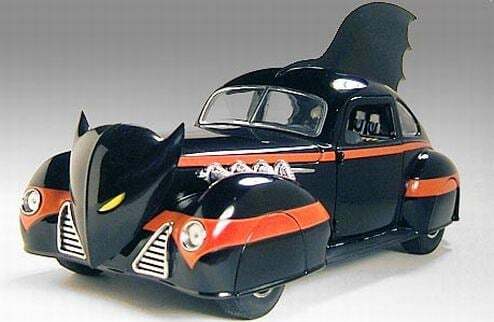 Lastly, here is another Batman Forever Batmobile that was developed from a Bugatti replica on a ‘77 VW pan and was then added the sculpt and method to make it all 22 feet long. 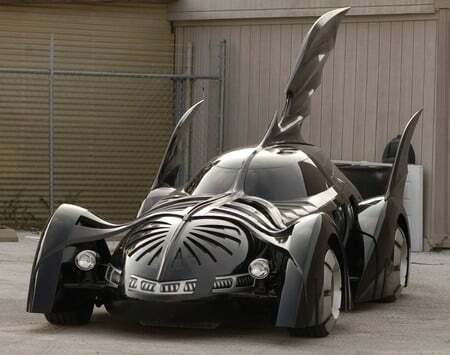 It is a monster, but bad movie or not…the Batmobile still looks awesome. 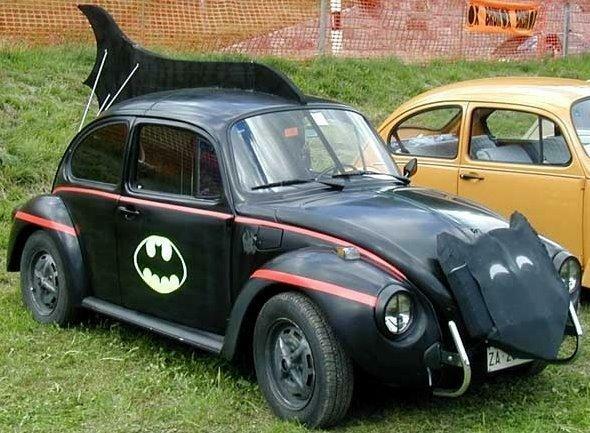 Here are two cool versions of an oldie Batmobile created out of VW Beetle vehicles. They may not be as sleek as the ones above, but I am certain Batman fans would still love to own one. 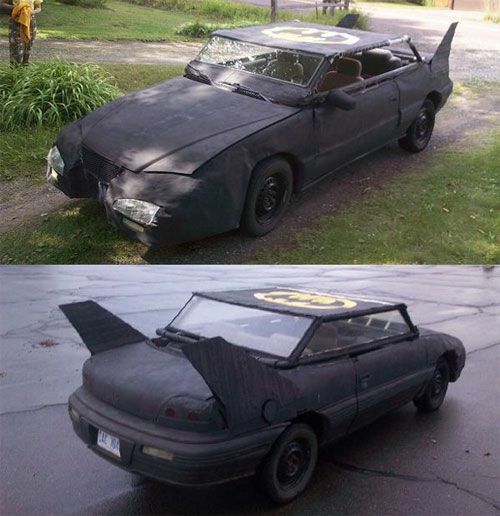 This specific Batmobile does not have the cool Batman factor as we would expect, but it provides another solution for die-hard Batman fans who want to mod their regular vehicle. Of course, it is not as flashy, innovative or cool, but it is still a Batmobile and probably would still make a geek just as happy. 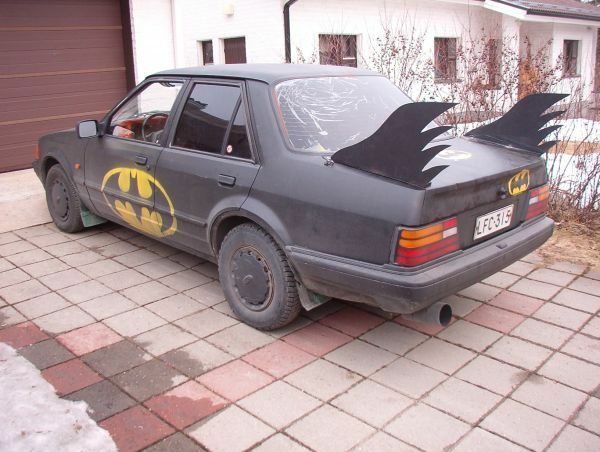 This final one is probably the World’s Worst Batmobile Remake! I guess it is better than nothing, but then again…it seems like someone got happy with the paint and glue, without a care for absolutely nothing else that is Batman. For example: cool, sleek, and exciting!